What a great time we had in Český Krumlov! The weather couldn't have been any better. It was so nice that we ended up sitting on a terrace by the river drinking coffee under the sun. In mid-November. Incredible. Like in Karlový Vary, we were very lucky with the Guide that Czech Tourism had arranged for us. A really cool woman who knew very well all the corners of the town and their history, but also seemed to be friends with pretty much everyone there. She introduced us to several very interesting people and left us with the impression that if we ever decide to go back there (something I hope to do soon) we already have some friends to welcome us. Oh yes! And Krumlov almost devoid of tourists is magic. After saying good-bye to our new friend we went for lunch at a the place that was in our program, a traditional looking pub, cozy and welcoming, with a clientèle that was half Czech half foreigner, located right next to the Egon Schiele Museum. It happened to be the same (and we sat at the same table) as the one we went with my wife when we visited the town shortly after our wedding. The food was fine, though nothing to write home about (except the potato soup, it was awesome). I had Eggenberg dark and I loved it. When we finished we went back to the hotel to pick our stuff and get on our way to Prague. A long trip it was, but without any trouble, until we got into the centre. Our accommodation had been arranged (and paid) by the Czech Tourist Authority in Spain, who also arranged the rental car. It seems they didn't take this last thing into account when choosing Hotel Adria in Wenceslas Sq. I think that, by foot, I would be able to get to Václavák even blindfolded, but I had never gone there by car and it took us a couple of tries to find the way to get in. The hotel was nice, much nicer than I had expected, I must say. Without getting to the level of luxury of the room in Pilsen, this one was pretty comfortable and the bed was perhaps the best of the whole trip. Everything was fine, maybe even recommendable, if it wasn't for one detail. The internet connection. The other three hotels we had stopped at were also four star and at all of them the use of the internet was free of charge. At most, we had to go to the lobby to connect with the Wi-Fi, but that was it. Here in Prague, no such luck, the price was 400CZK per day. Daylight robbery! Even in the centre there are scores of places where you can order a pint or a cup of something and connect without any problems. Why then a hotel that charges 250EU for a night wants you to pay something extra to check your e-mails, or whatever, in the comfort of your room is beyond me. Since we couldn't kill the time surfing the web, we took the healthy decision of going to Kavovárna to knock down a couple of pints of Kout. From there, we walked to U Malého Glena, where a table had been arranged for us to have dinner and listen to some live jazz. The band wasn't bad, but they played the kind of jazz that I prefer to listen at home while reading a book. On the other hand, the cheeseburger I had was lovely, it hit all the right spots (and for what I remember, it was expensive at all). I washed it down with Lobkowicz Premium, or so said the blackboard by the bar, I think it was something from Jihlava. Not that I minded, actually. We didn't stay to see the whole concert. We still had something to do, finish the evening at Zlý Časy. There we did have a good time. But we didn't stay very long, either. We were tired, it was a bit late and we had to start early on Sunday. Too early for a bed that was too comfortable, but we didn't have much of a choice. We wanted to hit the centre before the crowds. We also had to go to Vyšehrad to shoot something to wrap up the whole thing and to Pivovarský Dům for lunch and to shoot an introduction to the beer chapter of the video. (We ate well, drank much better). Once those things were taken care of, it was time to say our goodbyes and go home, for me, to the airport, for my colleagues. Of all the places we visited the only one I wouldn't go again is Karlový Vary. The city is nice and it's an OK choice for a one day trip, but unless you are rich there isn't much to do in there. It's remarkable the contrast between Karlový Vary and Krumlov. Both are perhaps the most visited Czech cities after Prague, but they couldn't be any more different. In Vary's old town there is no life, all you see is luxury hotels and tourist traps. In fact, our guide there said that the locals never visit that part of town, and you can see that. Krumlov's old town, on the other hand, is full of life. There are normal, every day people struggling to get by just like you and me who live there. And those who don't have a home in the centre go there for drinks, food, fun, meeting friends, sorting things out at the public offices or just hang out, and that is something you can see in the atmosphere (and the prices). In other words, Krumlov's centre welcomes the visitor to be part of it, regardless of who or what they are, while Vary's is as if it looked at what brand of shoes and clothes you are wearing before deciding if it will let you touch anything. 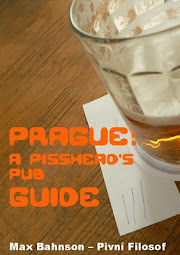 Another big contrast were the visits to Pilsner Urquell and Budvar. I confess enjoyed the former. 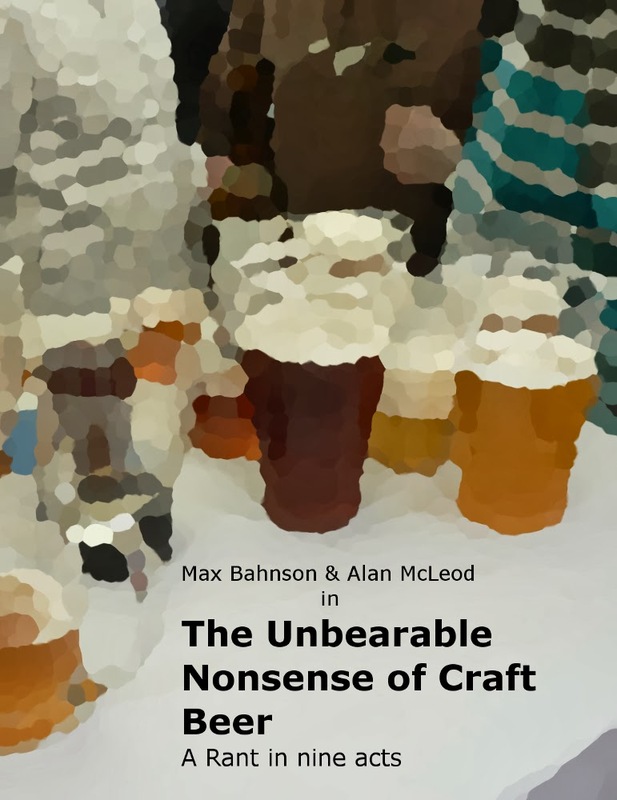 I tried to see it through the eyes of my two mates, people who didn't know anything about beer. The multimedia attraction, because that is what it is, is very well put together and didactic. Our guide was really cool and knew her stuff pretty well, but she was just that, a professional guide. Visiting the old cellars is also pretty cool and the beer tapped from the oak barrel is heavenly, but everything is part of a museum, there's no life, just history. At Budvar, on the other hand, we were received by the PR Managar (thanks Petr, BTW) and our guide was the former Quality Control Manager, a bloke that knows the brewing process left, right and centre and can explain it to the smallest detail without ever becoming boring. But the best was that we visited the actual brewery. They let us into the room where they mash and boil the wort and they even let us taste of the stuff that was being lautered (something tourists don't get to do). The visit ended in one of the lagering cellars where we drank beer that would later be bottled and sold in the shops. We stayed there for quite some time, drinking beer and chatting like old friends. I felt that had we wanted, we could have stayed there for the whole weekend and my two colleagues ended up amazed at what they saw and learnt. To be fair, though, the visit to Urquell had been arranged by Czech Tourism from Spain, while I had arranged the one to Budvar with Petr Samec by phone, but I somehow doubt that they would have turned out much different regardless of who had organised them. I must say this was a great experience. I loved being in front of the camera for so much time besides, of course, having the chance to visit several places I had never been to and others I wanted to go again and to meet there some pretty cool people. However, and regardless of all that, by the end we were all very tired and couldn't wait to get back home. Everything had been very intense and long. I'm not complaining, it was a great gig and I would love to do something similar again, but being back home with my wife and daughter is really priceless.